The Order of Merit is the official Ranking system of the PDC. It is based on tournament earnings over a period of the past two seasons. The Order of Merit was first introduced in 2007. The ranking system is used for the seeding and/or qualification of players in the Premier events with the exception of the UK Open. From 2009 until 2013, Phil Taylor was the number one ranked player. 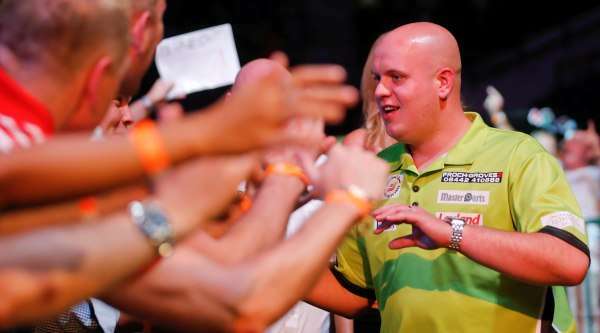 Since 2014 however, Michael van Gerwen leads the Order of Merit. The main advantage of using the Order of Merit lies in the fact that when a player has a bad year, his qualifying rights don't diminish right away. However it also takes new players and players that dropped from the rankings longer to earn a top spot. The PDC Order of Merit ranking system thus benefits consistency during the major tournaments such as the World Championship, Premier League and Open tournaments.